How can customers get early application benefits from a technology that will (potentially) be mandated for all new vehicles but won’t have notable market penetration for several years? The USDOT’s move toward regulation of DSRC technology for new vehicles is a great long-term strategy for safety but does little to address near-term use and benefits. There needs to be a corresponding strategy for accelerating deployment of DSRC technology beyond just new vehicles so that early adopters of the technology can receive near-term value for their investment. Assuming that NHTSA does mandate the technology for new car production, there should be greater emphasis on establishing a more holistic environment for generating ‘day one’ benefits from DSRC technology. This should include looking more directly at vehicle aftermarket opportunities, mobile devices and infrastructure deployment initiatives, to more rapidly establish a broad-based operating environment for use of the technology. 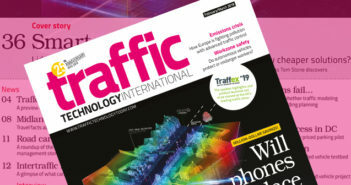 There are some major initiatives currently underway that are attempting to examine day one applications and deployment scenarios for the connected vehicle (CV) environment, with DSRC in the mix of technologies. In Europe, the V2V Communications Consortium is working with the Amsterdam Group to establish a multicountry V2X corridor (The Cooperative ITS Corridor: Rotterdam – Frankfurt – Vienna) to support both V2V and V2I DSRC/cell-based capability. Initial applications are focused on V2X situational awareness and mobility. Follow-on applications will focus more on cooperative driving, synchronized cooperative driving and automated driving scenarios. to facilitate an operational CV environment. Its main areas of focus include deployment initiatives; deployment research; infrastructure operator, OEM and supplier partnerships; deployment guidance; and deployment standards. While this group can provide recommendations to the USDOT and the wider industry, there is no funding mechanism for execution of the recommendations or regulation for anything that gets suggested. So what else can be done to help derive near-term benefits for those that have assumed ownership of the DSRC technology? Since NHTSA is looking to mandate the vehicle technology, should the FHWA take a stronger position than just providing guidance on the infrastructure side? While cell-based systems will likely lead the V2X application environment initially, more should be done to leverage what might otherwise be an underused technology for several years to come.